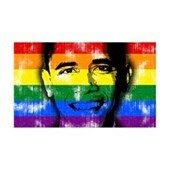 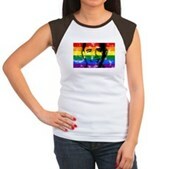 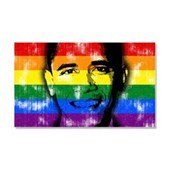 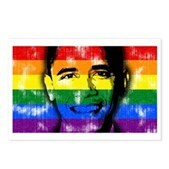 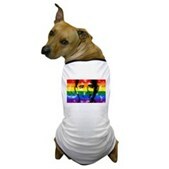 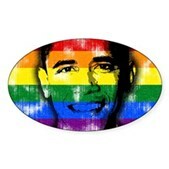 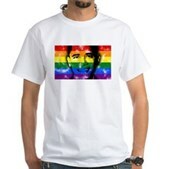 The LGBT community loves Barack Obama! 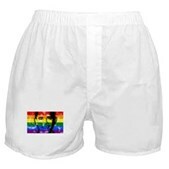 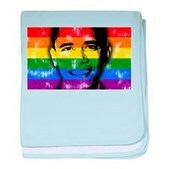 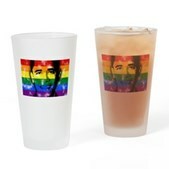 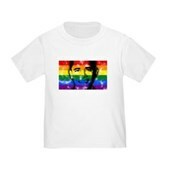 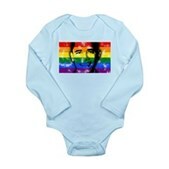 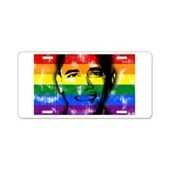 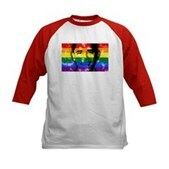 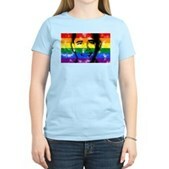 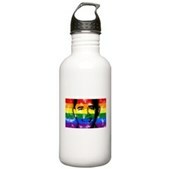 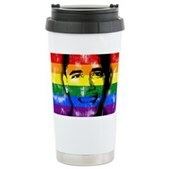 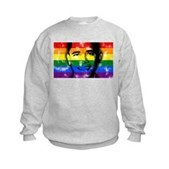 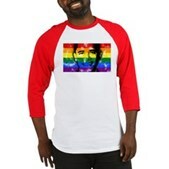 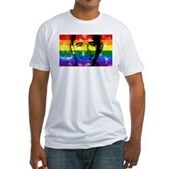 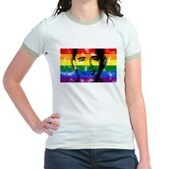 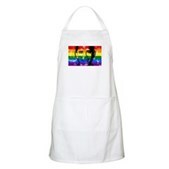 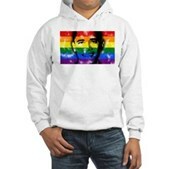 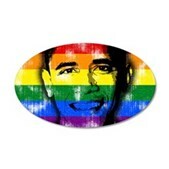 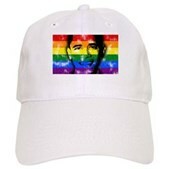 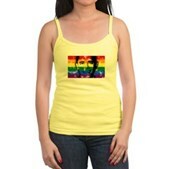 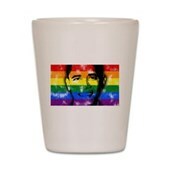 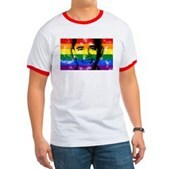 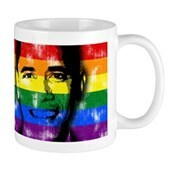 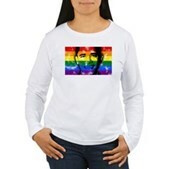 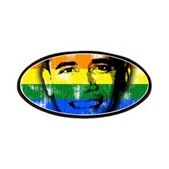 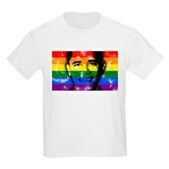 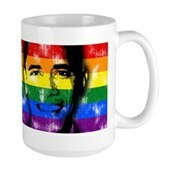 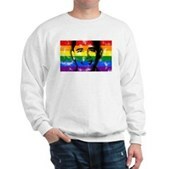 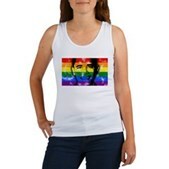 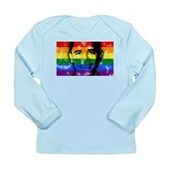 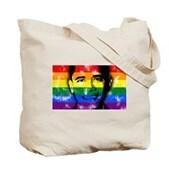 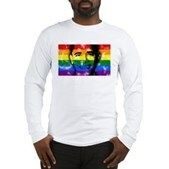 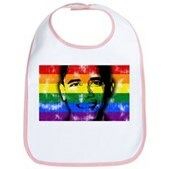 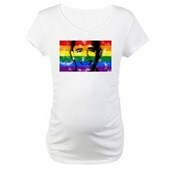 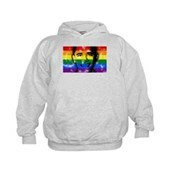 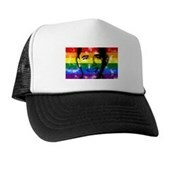 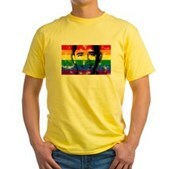 This unique design has Obama's face superimposed over the rainbow gay pride flag. 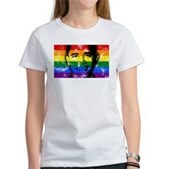 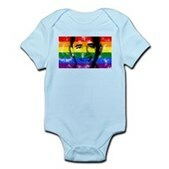 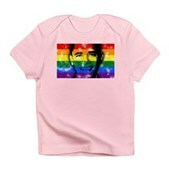 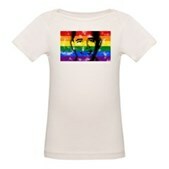 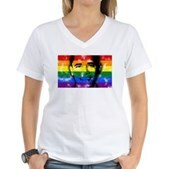 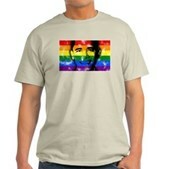 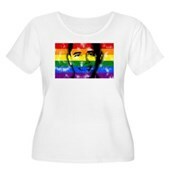 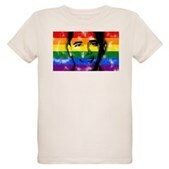 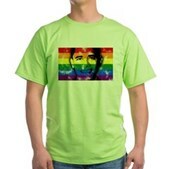 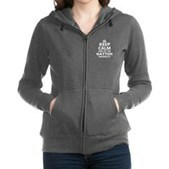 Show your support for President Obama and for his public support of marriage equality. 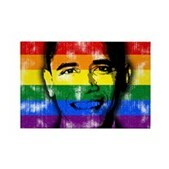 LGBT for Obama! 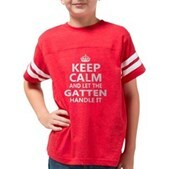 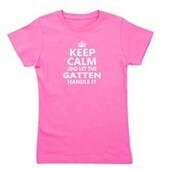 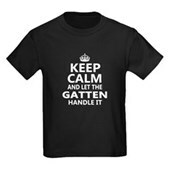 Design is distressed for a vintage look.